Are you a homeowner wanting to refresh your home and perhaps make it more appealing for buyers? Start in the kitchen! The kitchen is the heart of the home, a gathering place for friends and family. Now, it is also a major design focal point. Today’s latest design trends showcase open floor plan kitchens with unobstructed views into the family room and even dining room. While a kitchen remodel can be a lucrative investment if you are looking to sell your home. 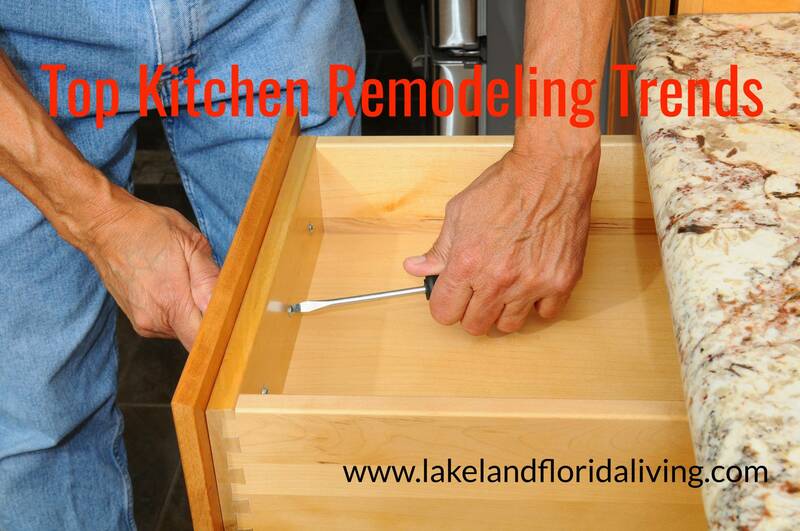 Kitchen and bathroom remodels continue to be top choices when remodeling. According to an article on HGTV.com, the average return of investment on a minor kitchen remodel is 92.9 percent—the highest rate of return on any type of home improvement! So why wait any longer? Let’s look at the top trends for kitchen remodels in 2018! Your television doesn’t have to be the only “smart” appliance in your home. Technological advances have brought “smart” tech into the kitchen through appliances and other electronics. You can even add smart technology to your kitchen without doing a total remodel. Smart sensors can easily be added to make things safer, more efficient and functional. Some of these add-ons can be as simple as installing motion sensors or one-touch sensors on kitchen faucets and soap dispensers. Looking to up the ante? Everything from lighting, to your oven can be controlled by smart technology. Forgot to turn off a light, need to preheat the oven, just grab your phone! Want more? 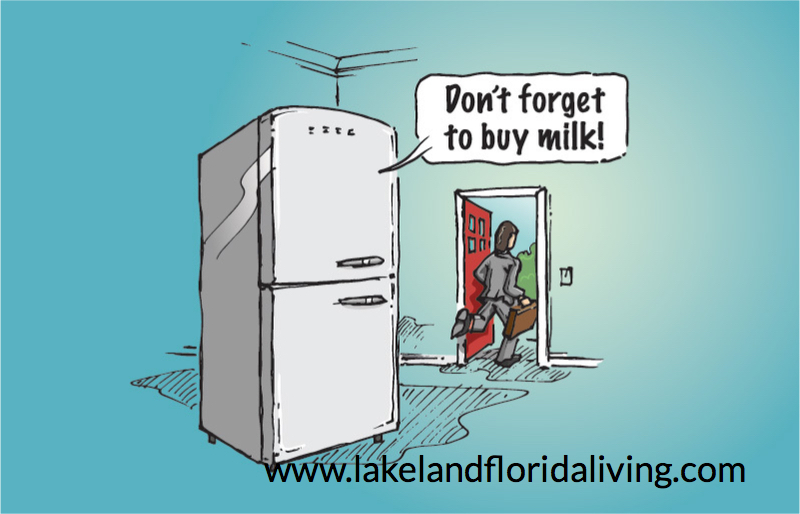 There are refrigerators that can show you what is in them when you are at the store. No more wondering, if you need to pick up more milk! For now, white remains the consensus as the favorite color for kitchens. It provides a clean, simple look that can be incorporated into almost any home. However, that does not mean your entire kitchen has to be white. Many designers are breaking up all-white kitchens by adding islands, backsplashes or pendant lighting covers in an accent color. Ready to give color a try in your kitchen, but don’t want to go too bold? Grey (in all shades) is quickly becoming the second go-to option for kitchens. More daring homeowners may opt for palettes with dark tones such as black, navy, and even plum. Going darker can bring about a luxurious, dramatic atmosphere but make sure it matches the overall ambiance of your home, or it can limit your resale value. If you are upgrading your kitchen in hopes to increase your resale value it is best to consult with a licensed real estate agent before making any bold choices. A well versed real estate agent will be able to tell you what buyers are looking for when they are shopping for homes. A streamlined look is arguably the hottest design trend in today’s kitchens. Whether it comes to the design itself or the materials being used for countertops, fixtures and appliances. Streamlining your kitchen can give your home a relaxed, uncomplicated feel. For instance, open shelving is one of the latest trends. Removing upper cabinets opens up more visual space in the kitchen, making it appear bigger and brighter. It also allows for increased space above countertops. Although, streamlining may be synonymous with simplifying, that does not mean it has to be dull and lifeless. Using unique finishes such as rough cut wood and metal tubing will up the visual appeal in a streamlined kitchen. Consider a backsplash with sculpted, beveled or stacked tiles. You can even add a tray ceiling or rustic beams, which keep the lines in your streamlined kitchen clean, yet add interesting allure to your design. Nothing gives the appearance of a high-end modern kitchen like a beautiful quartz countertop. Quartz has been a popular material choice for countertops for several years; it is durable, non-porous, easy to maintain and anti-microbial—meaning it inhibits the growth of bacteria. Advances in technology have not just affected appliances in the kitchen; they have widened the selection of colors for quartz countertops. Making this popular surface an even more desirable choice. Referencing our above point, you could consider adding a composite sink, made from the same material as the countertop, to give your kitchen a streamlined appearance. This makes caring for your countertops and sink and all-in-one job. Functional storage is one of the keys to a great, modern kitchen that people crave in their homes. If you do not have enough storage, or the available storage does not meet your needs, then you can bet daily hassles will ensue. Improving your storage can be as simple as adding an appliance garage for small appliances, placing dividers in drawers, adding a rack for spices, or a cabinet to contain your trashcan. Smart technology has revolutionized the function of kitchen appliances but their looks are changing too. One of the top trends for the new year is dark-toned appliances. This is a change from the traditional, light colored stainless steel, which has dominated the market for the past several years. That doesn’t mean stainless steel is out, but opt for a darker finish. Another new trend is the popularity of induction cooktops with a separate single wall oven. Induction cooktops are often more expensive than conventional ranges, but are preferred because the energy efficiency and safety they provide. As for the oven itself, steam ovens are on the rise. These ovens cook food faster while retaining more of the flavor and nutrients than regular ovens. If you are considering selling your home and want to know which kitchen remodeling aspects could bring you the most resale value, consider consulting a real estate agent first. If you are looking to add value to your home, the above kitchen remodeling trends generally appeal to current home buyers, such as the millennial generation. [clickToTweet tweet=”Be smart and set a budget – Stick to your budget! It is easy to get carried away when looking at kitchen designs. ” quote=”Be smart and set a budget – Stick to your budget! It is easy to get carried away when looking at kitchen designs. “] Remember the neighborhood you live in should reflect the kind of changes in your kitchen remodel. Your kitchen should not be more downgraded nor over improved than other kitchens in your neighborhood. If you plan on selling your home then choosing materials that speak to the masses makes more sense. Opting for quality stainless steel appliances rather than professional products. Other features such as soft close cabinet drawers, pantry drawers, doors and recycling cabinetry are more appealing to buyers than over-personalizing your space.